My name is Hollister Rand. As a medium, I provide specific messages from loved ones in spirit. It’s also my job to answer challenging questions about spirit communication in today’s world. The right person to ask me those hard questions is Jeff Copeland, a veteran producer. Jeff and I met when I was appearing as an expert on the tv news show, America Now. Between tapings, I was asked lots of questions about spirit communication by Jeff and his colleagues; in actuality, they grilled me. Some were believers, others skeptics. But they were all intrigued by the subject matter. Those intense Q&A sessions inspired this podcast which is a “behind the scenes” experience with a medium. Each episode of Here in Spirit highlights a topic lifted from live spirit circles and includes excerpts of spirit messages. In this journalistic approach, Jeff privately interviews participants about the spirit messages they’ve received. How sitters respond to their messages and why the spirits make the effort to speak results in Wha-a-at? Aha! and LOL moments. SUBSCRIBE and receive a new episode approximately every six weeks. Click the white podcast icon at the top to go to the Here in Spirit page in the iTunes Store and then click the Subscribe button. Hollister Rand's book, I’m Not Dead, I’m Different, is published by Harper Collins. Hollister teaches how to connect with spirits via online courses and mediumship development intensive workshops. 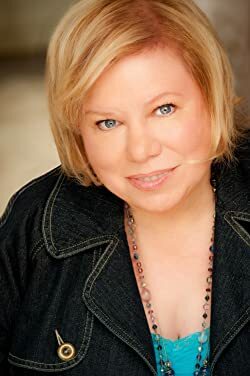 Her radio appearances include Coast to Coast with George Noory, Sirius XM’s The Séance with John Edward and television appearances include Tori and Dean: Home Sweet Hollywood and America Now. You may contact Hollister at HollisterRand@gmail.com or on Facebook and learn more about her work at www.HollisterRand.com. Jeff Copeland is an Emmy-nominated television writer / producer and published author. He met Hollister four years ago when he interviewed her for a series of psychic-related stories he was producing for the nationally-syndicated TV news show "America Now," and he's been smitten ever since. In this podcast, spirits demonstrate how even small interactions on earth can create eternal change. A pet cat in spirit brings a healing end to a tragic story of loss. A modern twist on an old-fashioned seance.